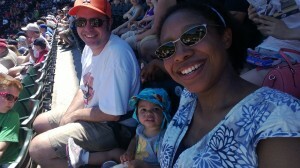 It’s kind of crazy to think this is Cora’s first trip to a professional baseball game. For as much baseball love as goes around the Beard household, she hasn’t graced the concourse of a professional baseball game in her near two years on the planet. Not the majors, but still a fun affair. Turns out minor league is a hotbed of family outings (literally too, as it was a warm day for the Seattle area). 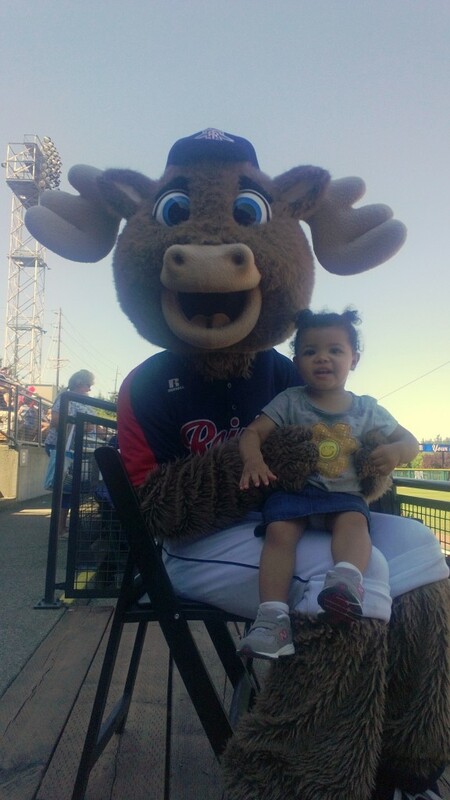 We were invited to a Tacoma Rainiers home game at Cheney Stadium in Tacoma, Wa with Sean’s colleague and friend Jay and his family. They were seasoned attendees and showed Cora the ropes. 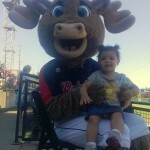 She got her first mascot photo op too, with Rhubarb. She didn’t seem to think he looked too much like a dinosaur, so she wasn’t scared at all. Good thing there aren’t any dinosaur based mascots in our area. Good family fun all around. 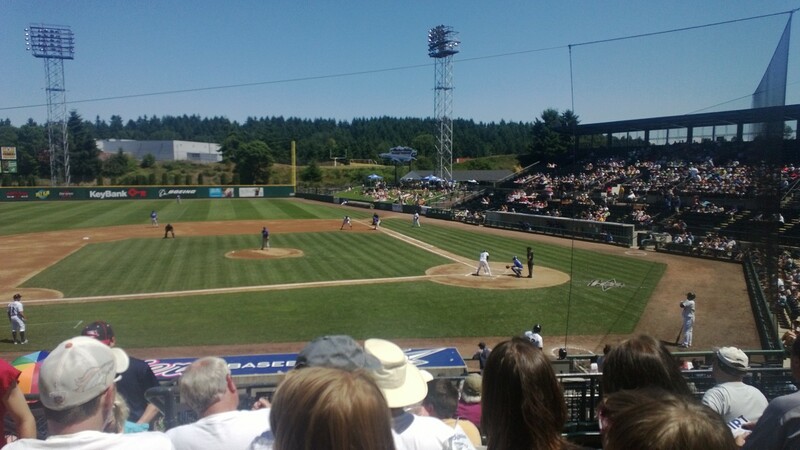 Thanks for getting us down to Tacoma, Jay!